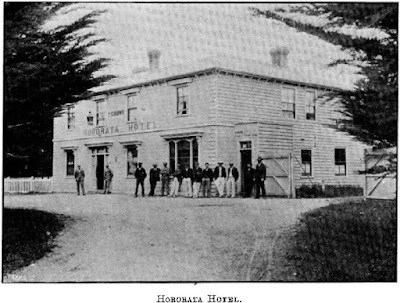 Hickson purchased the Hororata Hotel in January 1898, in June 1899 the hotel was transferred to Thomas West. This morning Thomas Charles Hickson, a publican, was found dead in his bedroom at the Al Hotel with his throat cut. 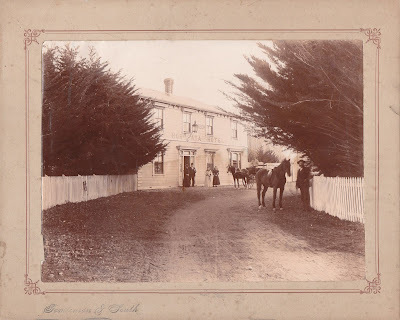 It appears that Hickson, who has recently taken the Waiau Hotel, came into town by last night's north train, and engaged a room at the Al Hotel. He, with a friend who came down with him and also engaged a room at the same hotel, went out into town, and after having supper at Fail's Restaurant they spent the evening at Dix's Entertainment. They returned to the hotel about 10.30, and Hickson retired to bed almost immediately. This morning he came down to breakfast, and appeared well and cheerful. Shortly after breakfast he went out for a walk and returned about 10.30, and proceeded upstairs. Soon afterwards a chambermaid went to the bedroom to finish tidying it. To her horror she saw Hickson lying on the bed with a frightful gash in his throat, quite dead, and there was a new razor on the floor beside the bed. 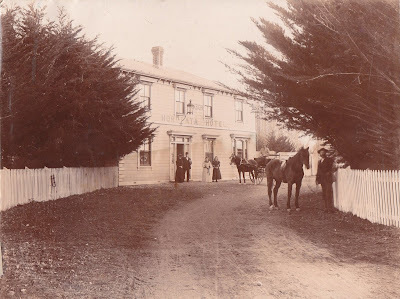 Mr Fox, the landlord, immediately telephoned for Dr Thomas, but on this arrival he could only pronounce life to be extinct. The police were informed, and the body was removed to the Morgue to await an inquest. It is understood that Hickson purchased the razor from an ironmonger close to the Al Hotel.